The story of how the renaissance of the bartender comes to be in the era of the craft cocktail. Hey Bartender release date was Friday, June 7, 2013. This was a Limited in theaters release. 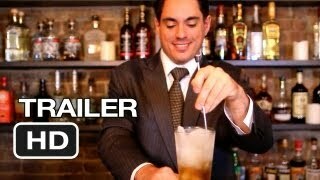 Two bartenders try to achieve their dreams through bartending. An injured Marine turns his goals to becoming a principal bartender at the best cocktail bar in the world. A young man leaves his white-collar job to buy the corner bar in his hometown years later he struggles to keep afloat. The bar is three deep, and the bartenders are in the weeds at the greatest cocktail party since before Prohibition. 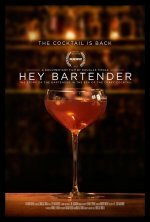 Hey Bartender is the story of the rebirth of the bartender and the comeback of the cocktail. Includes unprecedented access to the most exclusive bars in New York City and commentary from Graydon Carter, Danny Meyer and Amy Sacco.